In a new Methods in Ecology and Evolution podcast, Georgina Brennan (Bangor University) interviews Simon Creer (Bangor University) about his article ‘The ecologist’s field guide to sequence-based identification of biodiversity‘. They talk about about where the idea for the paper came from, what it’s aim are and who will benefit from it. We hear how new sequences can improve and enhance current biomonitoring programmes (and make them quicker and cheaper). To find out more about Sequence-based Identification of Biodiversity, read the Open Access Methods in Ecology and Evolution article ‘The ecologist’s field guide to sequence-based identification of biodiversity‘. 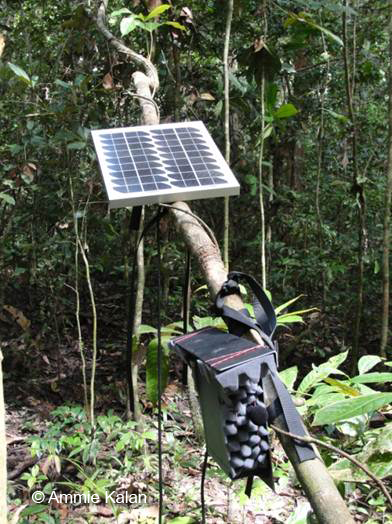 A solar-powered ARU recording in the Taï national park, Côte d’Ivoire. Finding a call of a particular primate species within hours and hours of audio recordings of a forest is no easy task; like finding a ‘needle in a haystack’ so to speak. Automated acoustic monitoring relies on the ability of researchers to easily locate and isolate acoustic signals produced by species of interest from all other sources of noise in the forest, i.e. the background noise. This can be much harder than it sounds. Think about whenever you have to use any kind of voice recognition system: seeking out a quiet room will greatly improve the chances you are understood by the robot-like voice on the other end of the phone. If you ever set foot in a rainforest the first thing you’ll notice is that it is anything but quiet. In fact characterizing and quantifying soundscapes has become a marker for the complexity of the biodiversity present in a given environment. Issue 6.6 is now online! The June issue of Methods is now online! 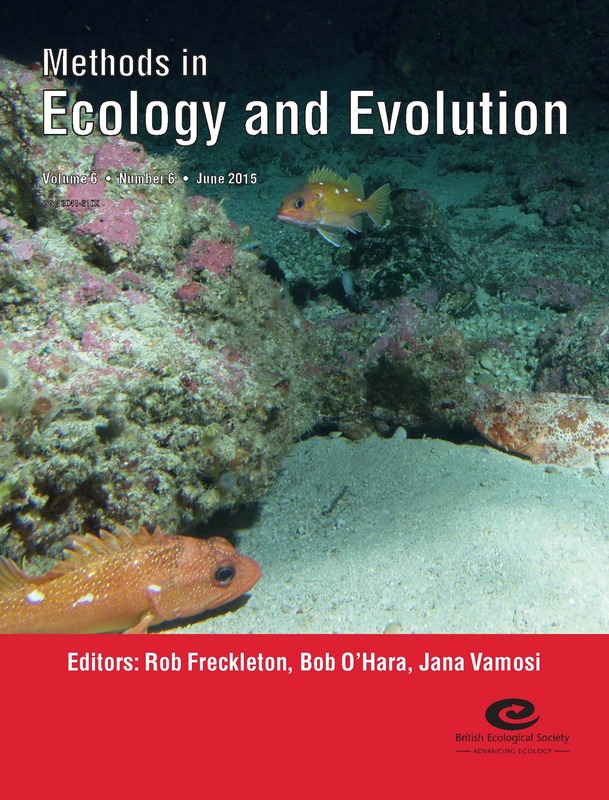 This month’s issue contains one Applications article and one Open Access article. – VirtualCom: A simple and readily usable tool that will help to resolve theoretical and methodological issues in community ecology. VirtualCom simulates the evolution of the pool of regionally occurring species, the process-based assembly of native communities and the invasion of novel species into native communities. One of the authors of this Application is the 2014 Robert May Young Investigator Prize Winner, Laure Gallien. Calibrating animal-borne proximity loggers, this month’s only Open Access article, comes from Christian Rutz et al. The authors calibrated a recently developed digital proximity-logging system (‘Encounternet’) for deployment on a wild population of New Caledonian crows. They show that, using signal-strength information only, it is possible to assign crow encounters reliably to predefined distance classes, enabling powerful analyses of social dynamics. Their study demonstrates that well-calibrated proximity-logging systems can be used to chart social associations of free-ranging animals over a range of biologically meaningful distances.